Still wrestling with ways to line your kitchen catchers, Chilliwack? Our neighbours to the west, Abbotsford, adopted composting organics before this city did. And that means some of their residents have found great ways to keep their kitchen catchers cleaner. 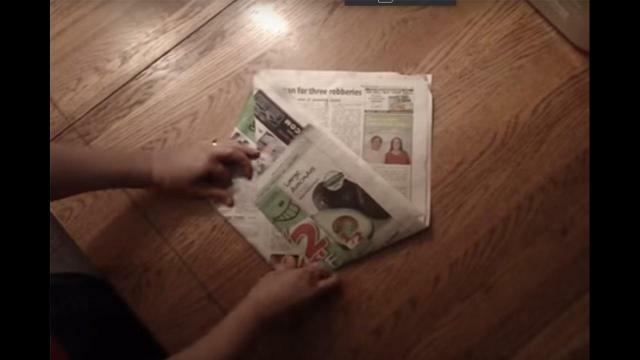 And one Abbotsford woman found an ingenious way to re-use her old copies of Abby News, by folding them to create paper bags that fit easily inside. The Abbotsford kitchen catchers are about the same dimensions of the Chilliwack catchers. She shared the video, under the username Jen C., back in 2013 and it’s had more than 4,000 views to date. Her easy-to-follow tutorial runs two-and-a-half minutes. Each bag requires three sheets of newspaper, folded in a precise but super-simple way. And while The Progress always encourages recycling papers when you’re done with them, compost matter is said to be greatly improved through the addition of newsprint as well. And for more tips on keeping your catcher and the outdoor green cart clean, visit the City of Chilliwack’s website.